Working in the new home sales industry, you’ve undoubtedly heard the story before. The sales department says that marketing doesn’t generate enough qualified leads. 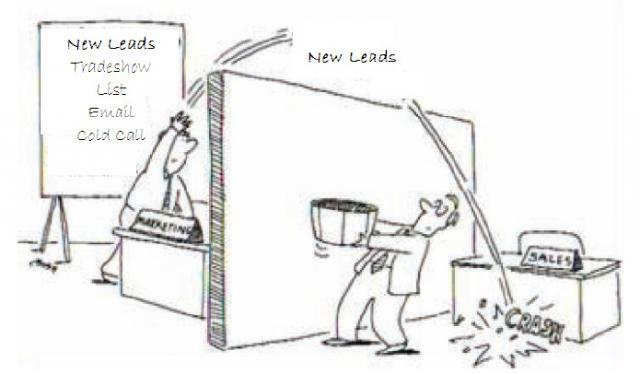 Marketing rebuts that sales isn’t doing enough with the leads they have. As an executive, how do you reconcile the two departments and create the kind of collaborative environment that promotes teamwork and fosters growth and success? A home builder CRM system could help in more ways than you think. One Database For All: When the sales and marketing teams use disparate databases or maintain lead information using outdated spreadsheet-based tools, the likelihood for error or misinterpretation increases tremendously when data is shared across multiple departments. With a cloud-based CRM system, all departments and team members access and update the same information in real time, eliminating inconsistent, inaccurate data. Automatic Lead Capture: A CRM system with the ability to capture every lead from every source saves time, money and eliminates margin for error. A prospect profile is instantly created and sales teams are immediately notified as soon as a lead registers on the website, a listing service, a banner ad – anywhere. Salespeople love this feature because it’s a constant source of new leads AND they don’t have to physically enter each one into the database. Marketing loves it because it ensures no hard-earned lead goes unnoticed or gets lost. Sales Processes: Studies have shown that having clear, pre-defined sales processes in place leads to increased appointment conversions and sales. Sales processes allow salespeople to quickly weed out the hottest prospects and focus intently on their needs, while categorizing other leads according to status and implementing the appropriate process for them. The marketing manager can easily see where the hottest leads are coming from, using the data to further refine marketing strategies. Built-in Email Marketing: Having an email marketing function built right in to the CRM system creates a huge advantage for homebuilders. The marketing department (or individual sales agents) is able to create different email campaigns for each segment of the database. Hot prospects and brokers may receive weekly or bi-weekly updates, while less qualified leads may only receive a quarterly e-newsletter. Marketing is able to keep your communities top-of-mind with unique messaging to the entire database, while sales primarily focuses on more immediate revenue-generating tasks. With the use of technology, automation and processes, CRM helps sales and marketing people do their jobs more quickly, easily and profitably – and collaboratively. If you’d like to have a discussion about how CRM could help your entire team be more productive and profitable, contact a Lasso team member today.